The 100 Bishopsgate development in London joins the City’s skyline, which includes the pickle-shaped ‘Gherkin’ at 30 St. Mary Axe and the ‘Cheesegrater’ at 122 Leadenhall St. The celebrated Mr. K performs his feat on Saturday at Bishopsgate. You might not see any celebrated circus tricks at Bishopsgate in the heart of the City – London's financial district – but you will see an imposing new office tower going up amid the tricky atmosphere of Brexit negotiations. Construction is chugging along at 100 Bishopsgate, a 37-storey glass and steel tower being developed in a joint venture that's owned by Brookfield Office Properties, the world's largest office developer and a firm with a heavy footprint in Toronto. Brookfield's 11 office properties in Toronto include First Canadian Place, the Exchange Tower, the Bay Wellington Tower, Bay Adelaide East and West and 22 Front Street. The New York-based company also has Canadian office properties in Calgary and Ottawa. 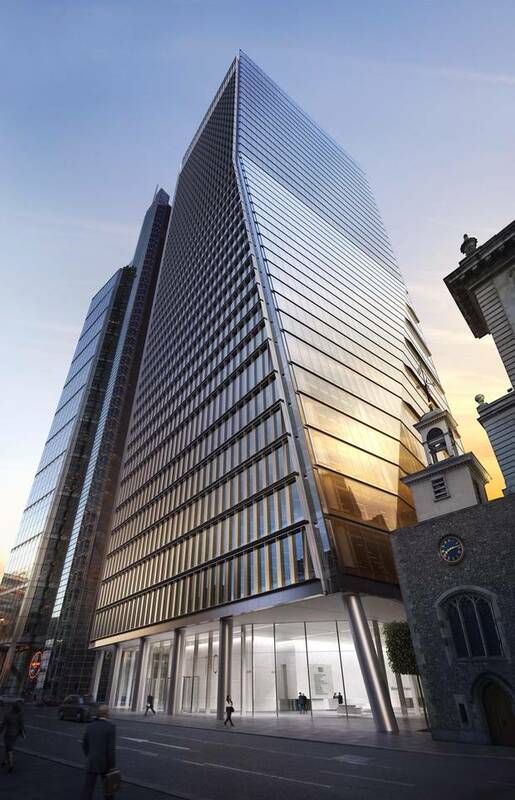 "Although 100 Bishopsgate will not be the tallest building in the City of London, upon completion it will be the largest single building in the City," says Martin Wallace, head of leasing for Brookfield's British office division. With construction in full swing, as this July of 2017 picture shows, 100 Bishopsgate, centre, in London is getting closer to its completion date in 2018. Conceived way back in 2006, construction on 100 Bishopsgate began in 2015 with Brookfield so confident that London's financial district would be strong that building began without the company securing any tenants. That was taken care of quickly in November of 2015 when the Royal Bank of Canada agreed to lease the first seven floors (250,000 square feet), followed one year later by legal giant Freshfields Bruckhaus Deringer LLP, which will take up 260,000 square feet in the building. A global banking group, Jefferies International LLC, will take an additional 120,000 square feet. These leases will take care of about 70 per cent of the 900,000-square-foot building, which also has retail and restaurant space available. Most of the rentals were negotiated before Britain's June 23, 2015, Brexit referendum, though. The long-term issue is whether this City building, when finished, and other ambitious projects nearby, will still be in the middle of one of the world's most important financial districts. The question is whether the centre of gravity for European and world finance will shift to other centres such as Frankfurt, Paris or Dublin after Brexit takes hold. As Britain digs ever deeper into negotiations to extricate itself from the European Union, the 100 Bishopsgate site is due to open in 2018, less than a year before April of 2019, when Britain's divorce from the EU is to become final. Brexit's impact on 100 Bishopsgate hasn't been particularly strong or direct yet, Mr. Wallace says. The 100 Bishopsgate development, shown in this artist’s depiction, isn’t the highest building in London’s financial district but, at 900,000 square feet, it is to be the biggest. "Brexit has only impacted things to the extent that decision-making among occupiers takes a little longer," he says. The building's leasing team did not devise a new post-Brexit strategy to lure prestige tenants, Mr. Wallace says. "Not particularly, although we do have more detailed conversations with occupiers regarding some increased element of lease flexibility on part of this space." Indeed, the impending Britain and EU divorce, so far, hasn't stopped a continuing building boom in the City that began before last year's referendum vote to leave Europe. City of London growth has also continued through this year's indecisive British election, which left the country with a minority government and a weaker negotiating hand in the talks to quit the EU. "Investment in U.K. commercial property rose sharply in Q2 2017, bucking the recent downward trend," says Mark Stansfield, managing analyst for CoStar Group UK Inc., in the group's recent investment review. 100 Bishopsgate is one of many commercial real estate projects underway in London, signs of defiance amid post-Brexit fears. ‘Investment in U.K. commercial property rose sharply in Q2 2017, bucking the recent downward trend,’ says Mark Stansfield, managing analyst for CoStar Group UK Inc.
At £14.7-billion ($23.5-billion Canadian), investment volumes jumped 34 per cent quarter to quarter. They were also up 23 per cent compared to the second quarter of 2016, marking the first year-over-year rise for two years, Mr. Stansfield says. "In London, big deals moved the dial," he adds. In his view, the building and investment activity are encouraging and may serve "as a vote of confidence as the country enters a period of heightened political and economic uncertainty. It will be interesting to see if volumes can be sustained in the second half of the year." Interesting but not necessarily conclusive, says market expert Robert Maguire, a planning consultant, director at Pacific Century Premium Developments Ltd., and associate director of Westcourt Real Estate (Europe) Ltd. in London. "Transaction volumes are at a record high, but that is hardly surprising given the steep depreciation of sterling over the last 14 months," says Mr. Maguire, who is also a former Toronto city planner. "Asian and North American investors now have more purchasing power and investment opportunities are unfolding as nervous [European] owners exit," he says. 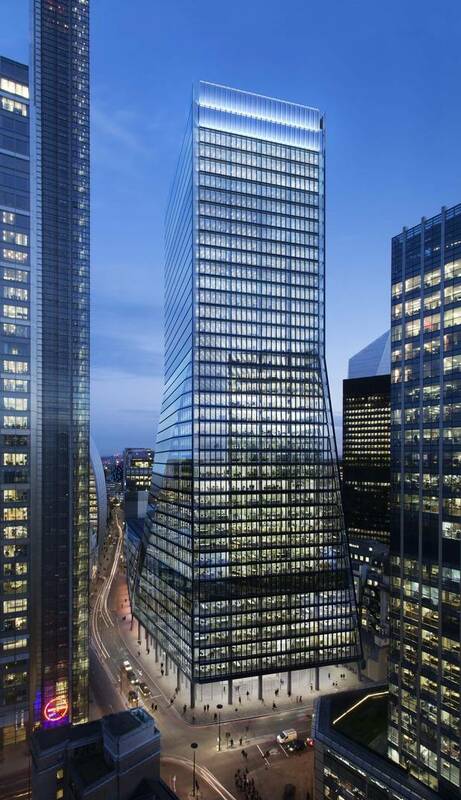 Royal Bank of Canada, legal giant Freshfields Bruckhaus Deringer LLP, and global banking group Jefferies International LLC have gobbled up much of the leasable space at 100 Bishopsgate, shown in an artist’s depiction. While property investment in London has climbed since the Brexit vote, "commercial office rents in the second quarter of 2017 have fallen for the first time in seven years," Mr. Maguire notes. "Rents are 0.8 per cent lower year over year, compared with a rise of 11.5 per cent in the year leading to the Brexit vote. I don't believe this is a coincidence." 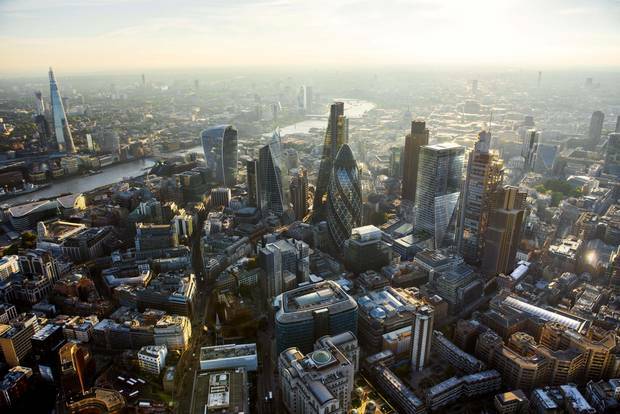 In his view, commercial tenants are casting their eyes to other cities at the same time as a number of sleek new office buildings that were conceived before Brexit, including 100 Bishopsgate, are about to open. While most of 100 Bishopsgate is leased, "just as demand is weakening, supply is exploding with 3.7 million square feet delivered over the last four quarters" and more to come, he says. While London's future as a premier financial centre is cloudy, the City still has a lot going for it as a finance sector magnet. It's English speaking and geographically close to Europe regardless of what happens in the Brexit negotiations. Other aspiring financial centres might note as well that buildings like 100 Bishopsgate benefit from huge investments in infrastructure Britain has made. Crossrail, or the Elizabeth Line, a speedy new rail service cutting through London, is slated to open next year. "It's a major factor when tenants are considering the building as it puts 100 Bishopsgate in the centre of London with only seven minutes travel time from the adjacent Liverpool Street Station to be in Canary Wharf to the east or Bond Street in the West End," Mr. Wallace says. Height: 180 metres, 37 storeys. Space: 900,000 square feet to lease. Neighbours: Larger than nearby London office landmarks the Cheesegrater and the Gherkin. Transit access: Sixty-second walk to Liverpool Street Station and new Crossrail Elizabeth Line (opening 2018). Architects: London-based Allies and Morrison with Arney Fender Katsalidis. Main tenants: Royal Bank of Canada, Freshfields Bruckhaus Deringer, Jefferies International.